For those of you obsessed with beauty and makeup like I am there is a new thing called a subscription box where once a month a box of beauty samples shows up on your doorstep. Yea! Something besides bills waiting for me when I get home. 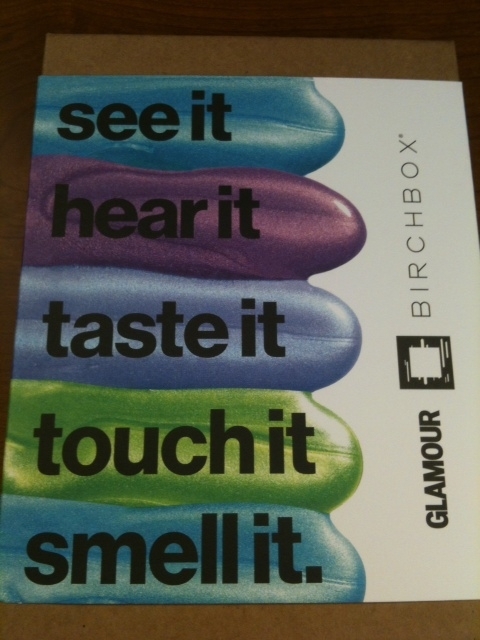 There are several companies that offer this service but for the last three months I have been trying out Birchbox. 1) Sign up for a subscription on Birchbox.com. You can pick the length of your subscription and it can be as long or as short as you would like it to be. I picked three months to start. Subscriptions are $10 a month including shipping. 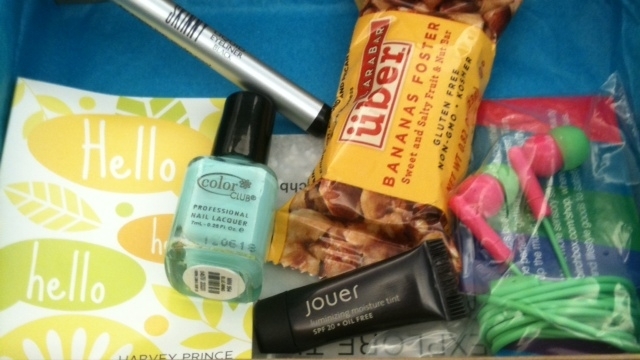 3) Once a month Birchbox will send you a box of samples based on your preferences. This is a great way to try before you buy. I am never very good about chatting up the ladies at the makeup counter so this perfect for me. I love getting things in the mail and it so fun to come home to box full of treats. Sometimes they even throw in a full version of a product! I have had a really good experience with this service and have enjoyed discovering new Beauty products through Birchbox. I think they threw in something else but I used it up before I even had a chance to take a picture. Anyhoo, if you are like me and like to get surprises in the mail you should check it out. Gift subscriptions are available too. Let me know if you try it and what you think. Disclaimer – Birchbox did not pay me to review their service or products. My opinions are always my own. « Nobody panic! Ok, everybody panic!